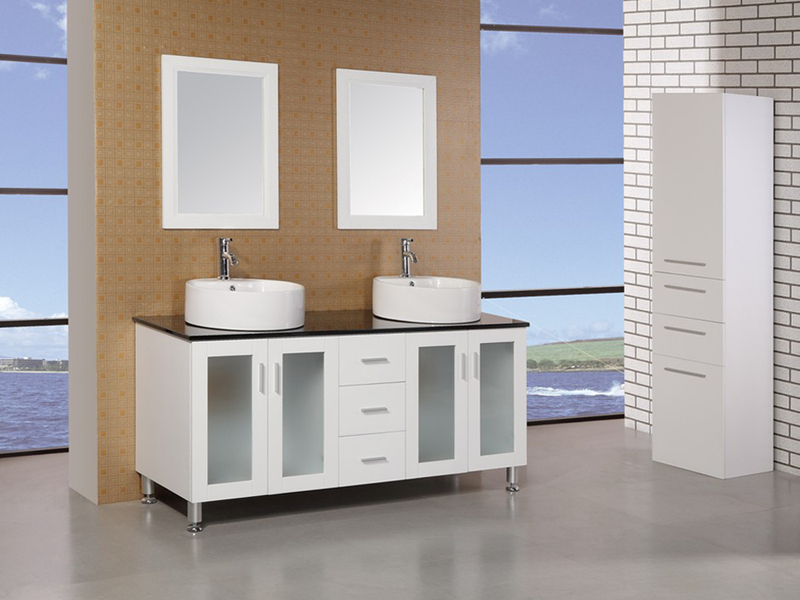 The 60" Malibu Double Vessel Sink Vanity brings forth the beauty of a black tempered glass countertop with the contrasting colors of a white cabinet and aqua green glass inserts to give you a vanity that speaks to today's modern design elements. 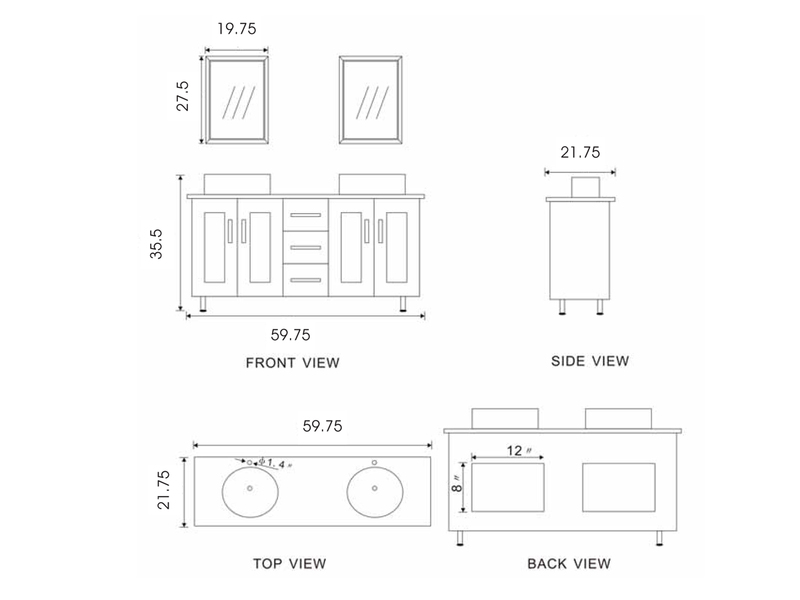 You'll love its rich textures and the durability of the solid oak cabinet that features plenty of storage space. This storage space includes two double-door cabinets, with each door equipped with soft-closing hinges, and 3 central pull-out drawers, allowing you to store all your bathroom accessories in tidy, organized compartments. 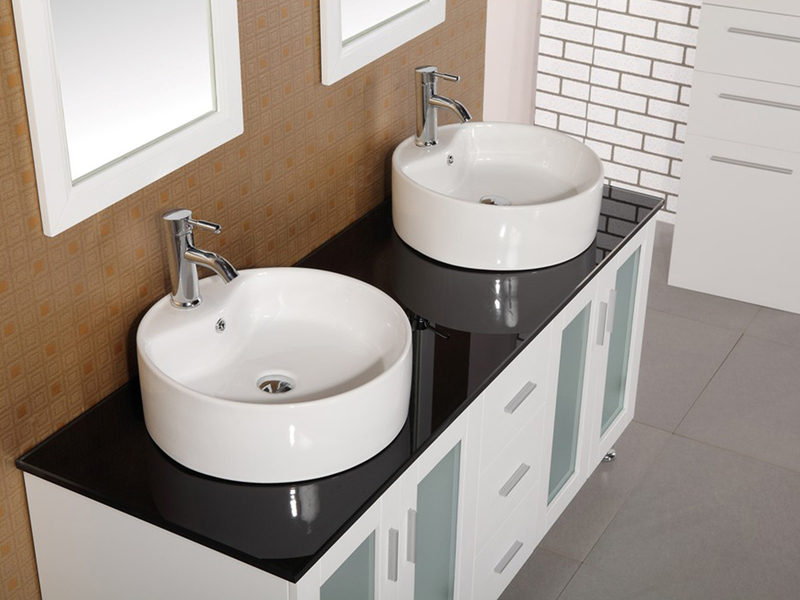 The top is accented with two rounded porcelain vessel sinks that work perfectly to contrast the color of the black tempered glass top. 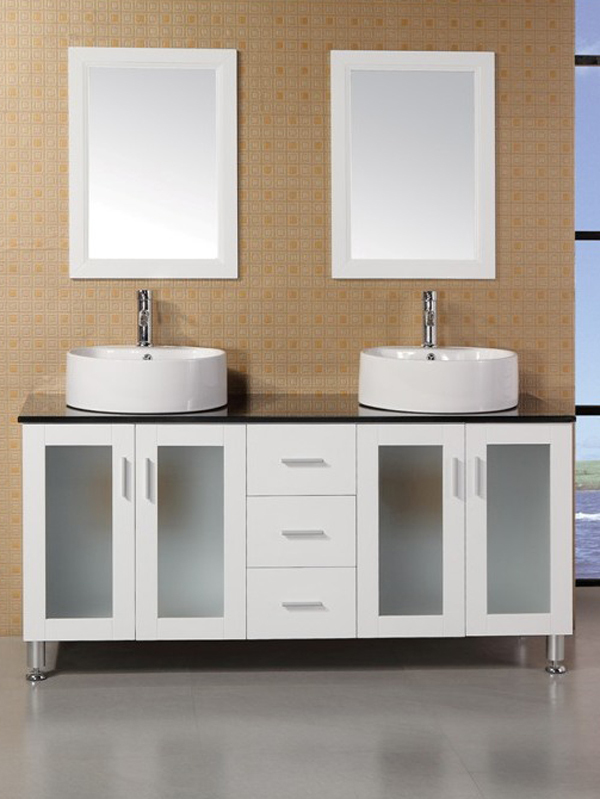 Two matching mirrors also come with this vanity.